No entrepreneur goes into their software or hardware technology startup with the idea that it will fail. But sadly, more often than not it will. I’ve written repeatedly about the key qualities and activities required for startup company success. Before you read on, remember that NOT giving up easily is VERY high on the list! But for any startup where it’s “just not happening”, there comes a time to throw in the towel. Once you’ve reached that point, any additional effort only represents the proverbial “throwing good money after bad”. Not only in terms of financial resources, but also in terms of precious time and emotional investments. So what are some signs a company is failing? Usually it’s not just “one thing”, but a combination of factors that make it clear that there is no realistic path forward. Can you recognize the signs a company is failing? First and foremost, this is a very common issue and should be the most avoidable signs a company is failing. But in my career I’ve found it to be the most consistent cause of crib death for startup software and hardware companies. The reason is that the tech industry is of course, led by tech! So sometimes we fall in love with the technology itself, without adequately understanding where it might fit in a market segment – if it does at all. For a multitude of reasons, founders of tech-based startups overwhelmingly come from technical backgrounds. So this mistake is a natural one, but it’s pervasiveness can’t be blamed solely on our engineer and developer colleagues. I’ve seen plenty of technology startups with founding teams that possess strong marketing, sales or financial skills, but miss the mark and flame out dramatically. We need to remember that bringing innovation to a market is an inexact science. But that doesn’t excuse being too lazy or too focused on the tech itself to talk to as many customer prospects as possible early on. Again, of all the difficult factors that can kill an embryonic tech company, this is the most avoidable. So do your very best to avoid it. The next worst thing to having no market is too small of a market. You need to be able to create a business with real potential to be a going concern and grow past that. This often happens for similar reasons to the points made above – a lack of market research prior to building the product. But sometimes you build it and it just doesn’t solve pain points quite to the extent that you anticipated, limiting it’s market potential. This may be unavoidable, and it’s also not always the worst thing to start in a smaller niche and expand from there to an adjacent, larger market segment. But the key point here is that the initial tiny niche must be a logical jumping off point to a broader market. Otherwise you’ve just created an unprofitable company that will need to essentially start over to reach a market large enough to be successful. At that point it’s unfortunately not really a pivot, but closer to a restart. So do you best to make sure that your market in large enough to build a real company – just not too large so that you can’t make an impact in that segment. It’s a fine line to walk, but very important to many startup company’s ultimate success. If you see to small of a market to succeed, remember it’s one of the key signs a company is failing, often before the less subtle signs set in. Many times a SaaS, mobile software or hardware company is founded on a killer technology or great product idea. Sometimes it’s a spinoff from some very innovative research, and sometimes it’s borne from the recognition of a real pain point in a particular market segment. Everyone is very excited about the possibilities and a new startup company is formed. A startup team is recruited, and maybe there is even enough excitement to obtain early institutional funding, a relative rarity these days. As difficult as it is to get to this point, in reality, this is where the hard part begins. Execution is the most difficult and important success factor in any company, and that it doubly true for early stage tech companies. In reality, good ideas are a “dime a dozen” when compared to good execution. That’s because execution is HARD; especially when it concerns significant technical innovation. Not to mention the surgical precision required to package a technology appropriately to solve a market pain point in a marketable fashion. Many times, until this new product is “fully cooked” and introduced into the marketplace, it is impossible to ascertain for sure that the tech implementation is good enough to make sales. This is just a fact of life in the technology industry, and is a risk of any new technology or product. You should work to limit the risk, but it never goes away completely. Technology that just doesn’t work as expected is one of the common signs a company is failing. Sometimes you enter a market and see a good opportunity. There is a nice sized niche or even a bigger market that is under served, and you have the technology and marketing prowess to serve it. But market dynamics change all the time. Maybe a large company with a well known brand in an adjacent market sets their sites on your segment, unknown to you. It enters before you’ve gotten the opportunity to be fully established. Or you’re an internally funded startup pioneering a new segment, and the VCs get a sniff of the opportunity and they fund 30 competitive startups in short order. Unfortunately, these types of events and many others of a similar nature happen quite frequently in technology markets. It’s the nature of the beast; things move fast and sometimes events overcome you. You can plan all you want and do as much market research as you can, but perfect information is almost never available. This puts a premium on moving fast and being nimble, which can allow you to get established quickly or at least pivot away from the oncoming freight train. But the old adage about how you’d rather be lucky that good applies here, unfortunately. Although many of the technology market victors re-write history and won’t admit it, luck plays a role in almost every great tech company success story. So work hard and smart, but cross your fingers and say a prayer as well! Maybe everything looks like it SHOULD work. You have a product that you believe relieves a pain point, defensible tech that gives you a sustainable advantage, a reasonable price point, and a decent-sized market that isn’t brutally competitive. But something is just “off”; making sales is extremely difficult or impossible. In these cases, it’s sometimes hard to pinpoint exactly what is wrong. It may be very complex; there may be quite a number of factors that just aren’t lining up, where it’s the combination that’s causing the failure, not any single factor. Or maybe it’s one big thing, but something that isn’t well understood at the time. This is the classic example where management may attempt a pivot, trying new things. And you SHOULD. But at some point it really doesn’t matter WHY you can’t get traction, as unsatisfying as that sounds. Eventually you just run out of resources and time to make it work. The clock is ticking on any startup company to show traction. If it’s clear it just isn’t going to happen, it’s time to give up. The most final of the signs a company is failing is when the money is gone. Especially if you’re self-funded, it can be particularly rewarding to recognize the signs of certain failure before you get this point. Retain your resources for a another attempt (or in some cases just to pay your mortgage). Even if you are funded externally, bringing a graceful end to the company can help salvage your reputation as well as your relationships with the investors who backed you with their precious capital. Everyone wants to avoid this, of course. Making the best of a bad situation isn’t something any entrepreneur sets out to be good at. But the alternative can be much worse. In the end, it’s important to be objective and realistic. I want to emphasize that I’m in no way advocating pulling the plug while there is still some level of “reasonable” hope. The last step before the money finally runs out is to attempt to sell the company or the intellectual property, which can salvage something for the stakeholders. This is one of the prime reasons to be objective and realistic, to avoid a “fire sale” and allow the possibility of an orderly and graceful (if unsatisfying) ending. When the money runs out the plug is pulled for you, leaving you with little capacity to influence the ending. Will you know when to call it quits? This is a topic almost no one wants to ponder. 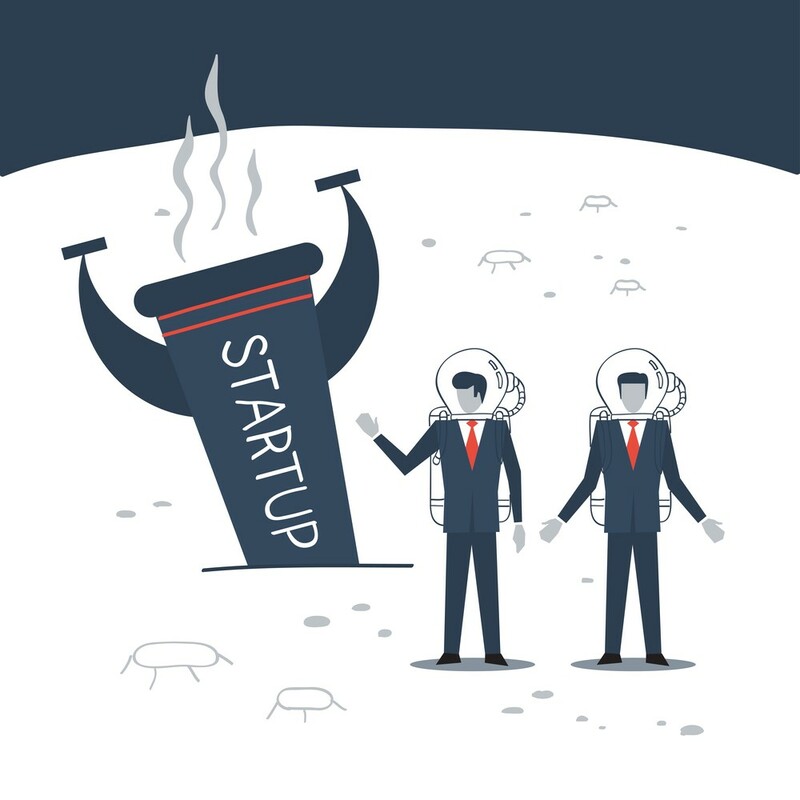 But if you find yourself in this situation – and many, if not most startup-oriented professional will find themselves in it at some point – can you recognize the signs a company is failing and fold you cards at the appropriate time? Certainly you don’t want to capitulate too early, but resuscitation efforts past the point of hope can be costly as well. If you have a story for us – no matter how painful – please post a comment to help educate your fellow readers.